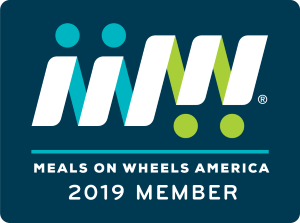 Chestnut Hill Meals on Wheels is a community-based, non profit organization devoted to meeting the daily nutritional needs of any of our neighbors challenged by illness, disability or age. Respecting our clients’ desire to live independently, our dedicated corps of caring volunteers home deliver two fresh meals each day, five days a week. Forced isolation is avoided; interpersonal relations between client and volunteer develop and individual freedom is supported. It all began in 1974 when Barbara Russell, chair of the Chestnut Hill Community Association health committee visited Northwest Meals on Wheels in Germantown and saw how home delivered meals benefitted those who received them. She began a campaign for a Chestnut Hill route for people who wanted to remain in their homes as they got older or recuperated from illness or surgery. She was assisted by Mary Anna Ross, CHCA board member and paid Director of NWMOW. In its ‘74-‘75 budget, the board of CHCA allocated $1,000 to get the program started in Chestnut Hill. With the help of John Golden, Vice President of General Services at Chestnut Hill Hospital, and Jack Francis, Head of Food Services, the program was given a home at Chestnut Hill Hospital. Two meals were delivered each day, Monday through Friday, for $14 starting in 1975. And while some things may have changed over the years, our service continued uninterrupted since that time. In 2008, we became an independent 501 (c)(3), moving from under the umbrella of CHBA. We relocated our operations to Keystone House where we remained until September of 2014. On October 1st, 2014 we started a new partnership with Halligan’s Pub in Flourtown. Our clients are loving this restaurant’s quality food! We also relocated our office space to the First Presbyterian Church in Springfield, where they are providing us with rent-free office space. CHMOW has been delivering fresh meals five days a week with the help of 100+ volunteers. This caring and vigilant band bring much to our clients aside from the healthy food. They provide a sense of security as clients know someone will look in on them each day, even if/when their loved ones cannot. Volunteers keep clients connected to the outside world as stories are shared and friendships grow over time. Clients are able to maintain independence and remain in their homes because of our service. We look forward bringing this service to the doorsteps of many more of our neighbors challenged by food insecurity. Help us in our quest to find them. If you know someone who needs food delivery, please call our office at 215.233.5555.